Easter has just passed and everyone has been posting about the death and resurrection of Jesus which is fantastic. The cross is at the center of our faith, it is at the heart of scripture, it is foundational to the gospel and it is the ultimate revelation to man of who God is and what His creation means to Him. Originally I planned on getting in on this as well but at the last minute I decided to do something different this year and instead write something about the life of Christ. Now I know people generally celebrate that at Christmas time but I want to go beyond the birth story and say something about the entire life that Jesus lived while on the earth because I believe it was hugely significant as well. Consider this; most people believe that God needed a sinless person to die as a sacrifice to atone for the sins of the world. But if this is all that was required then the thirty-three years that Christ walked the earth become relatively meaningless. Why did God not just let Jesus die as a baby? Why did He send an angel to warn Joseph in a dream of Herod’s evil plan to have all the baby boys in and around Bethlehem killed? Why could a mob that wanted to throw Jesus off of a cliff not touch Him? Clearly, the life of Christ matters and should be included in the story that covers the death and resurrection as well. So while many people have posted this week about the meaning behind the death and resurrection of Christ, let me share a few thoughts as to why I believe the life of Christ was equally important to us as well. The prophet Isaiah said that a virgin would give birth to a son and call him Immanuel which means, ‘God is with us’. Jesus was not just another prophet, sent to deliver a message to a certain people at a certain time in history. No, Jesus revealed something far greater; He showed us what God is truly like. God walked the earth as a man; He exemplified holiness as He went about His daily life, obedient in every way to the will of His Father. Jesus healed the sick, He lifted up the lowly, He gave power to the powerless and He befriended all the wrong people. He also warned the people of the destructive nature of sin and the need we have for God, His life stood in contrast to the religious leaders and kings of the earth. Jesus revealed a God to both the Jews and the Gentiles which many had never dreamed existed. More than anything else Jesus spoke to people about of the Kingdom of God and simultaneously, He invited people into its reality. Nowhere would God’s reign be more manifest than through the life of Jesus and then by extension through those that He called into His assembly. Kingdom teaching was more than the pulpit style transfer of information. Jesus chose twelve disciples and for three years invested everything He could into them, showing them how to live in and through Him. Pentecost is often pointed to as the birth of the church but certainly the foundations were laid during the earthly ministry of Christ. I have heard it said that the word ‘Bible’ stands for ‘Basic instructions before leaving earth’ which is not entirely false but not entirely true either. In reality, the Christians call is to abide in the vine and to be imitators of Christ; nothing more and nothing less. If we take a look at some of Christ’s most famous teachings like the Sermon on the Mount, we don’t just read about a set of instructions but we see a living example of how to carry this out. In Jesus we see the poor, the humble, a suffering servant who hungers for justice. He is merciful, His heart is pure and He is called the Prince of Peace, He was persecuted for righteousness sake (see Matthew 5:3-12). One thing often pointed to in Christian apologetics is that Jesus fulfilled all of the Old Testament prophecies about Israel’s coming messiah. Those who knew the scriptures would have known exactly who Jesus was by the signs He fulfilled. But Christ also fulfilled the scriptures in other ways as well; in His own words he also fulfilled the Law of Moses. Then there are all of the Old Testament types and shadows, He was the new Adam, the bridegroom, the rock that gushes life giving water, the kinsman redeemer, Israel and so much more. One day when Jesus was in His hometown of Nazareth He went to the synagogue and read from Isaiah, He said, “The Spirit of the Lord is upon me, for He has anointed me to bring God News to the poor. He has sent me to proclaim that the captives will be released, that the blind will see, that the oppressed will be set free and that the time of the Lords favor has come” (Luke 4:18-19). The gospels record how during Christ’s earthly ministry He healed many sick and blind people (physically and spiritually) and set free those who were tormented by demons. In a sense you could compare Christ’s life and death to that of Samson’s. Where His calling was carried out throughout His life and completed on a larger scale in His death. There is a view of the atonement known as Christus Victor which basically says that Christ, through His death and resurrection, conquered sin, Satan and death. I would say that His life demonstrated the same (though on a smaller scale) as prostitutes became followers, tax collectors became liberators, Satan was overcome through the temptations in the wilderness and demons were forced to obey His commands and finally dead people were raised back to life demonstrating His power of the grave. There are probably a dozen other things we could point to about the importance of the life of Christ, these were just the first five that I could think of, I would love to hear what else you think should be on this list as well. Will unbelievers be painfully executed? Over on Preston Sprinkle’s blog (the guy who co-wrote Erasing Hell with Francis Chan) there was a great discussion/debate going on between two well qualified representatives for the traditional view of hell and that of annihilationism. Both guys have done a fantastic job representing their particular views and I highly recommend having a look at the series if you want to dig a bit into the topic. But for the purpose of my post today I have only mentioned it because I want to pick up on something that Chris Date said which didn’t sit well with me. In his first post which is otherwise excellent (imo), he says, “The risen lost will instead be annihilated: denied the gift of immortality, dispossessed of all life of any sort, and painfully executed, never to live again”. For anyone who has read a few of my posts before you will know that I too am an advocate for the view known as Conditional Immortality but the phrase ‘painfully executed’ seems contrary to everything I believe to be true about Jesus and God as revealed in the Bible. It’s not that there are no verses in scripture which cannot be read in the way he suggests, so I can understand where he is coming from. The idea of annihilation as divine execution is actually quite common; another blog I read likened hell to be “like a parent disciplining a child”. The same post spoke of the punishment of God in hell as a necessity to fulfill God’s holy character. While I do affirm the position of Conditional Immortality and even ‘painful death’, I don’t think that God executes people or throws people into pits of fire because His holiness requires it. In the Gospels, I see a Christ who tells us to love our enemies and to turn the other cheek. 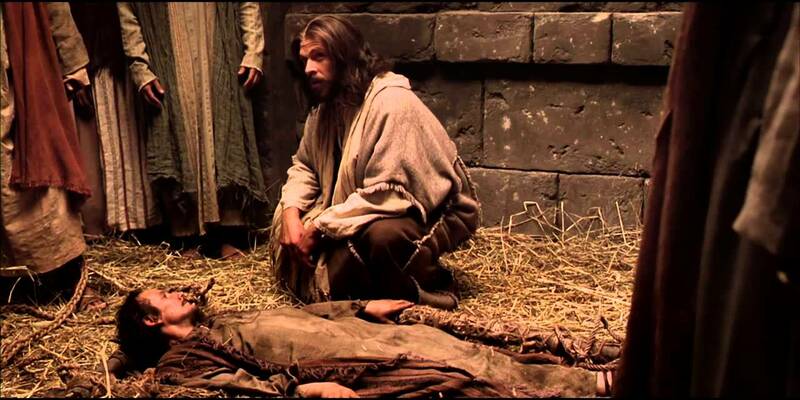 I see Jesus practicing what He preached when He was beaten and killed without just cause. This Jesus who hung on the cross prayed for His enemies’ forgiveness in the midst of this great injustice. John in the book of Revelation unveils to us a God who does not spill the blood of His enemies but allows His own blood to be spilled for them. As Paul would say, “The message of God is foolishness to those who are headed towards destruction! But we who are being saved know it is the very power of God” (1 Corinthians 1:18). 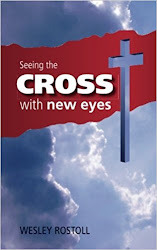 Or as Greg Boyd likes to say, “The cross reveals to us how God flexes His muscles”. If holiness refers to the set-apartness of God then painful execution cannot be an expression of holiness, for pain and destruction share a likeness to the dark side of human nature and to Satan himself. Holiness (being different or set apart) is not killing and destroying, there is nothing different about that. A violent god is a god in our own likeness. Rather, holiness is Jesus giving up His life for us; holiness is a slaughtered baby Lamb victorious in its resurrection. Set apart are those who have defeated the dragon by the blood of the Lamb and by their testimony, those who do not love their lives so much that they are afraid to die. I mention Jesus’ non-violent nature (Isaiah 53:9) because scripture teaches us that He is the exact representation of God (Hebrews 1:3) which should mean something to us. Jesus heals, He forgives, He gives life and the whole time He is revealing to us what our Father is like. As J. Denny Weaver said in his excellent essay, ‘The Nonviolent Atonement: Human Violence, Discipleship and God’, “The triumph of the reign of God depends not on God’s capacity to exercise either retributive or the greatest violence, but on the power of the reign of God to overcome in spite of and in the face of the violence of evil.” Death in the Bible is viewed as an enemy (Revelation 20:14), it is something that Christ sets us free from (Romans 8:2). 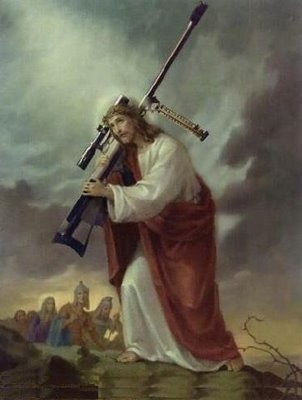 It seems odd to me then to think of Him as both savior and executioner. It makes me think of a life guard who is the best of the best, a guy who can pull three drowning people out of the ocean at the same time but this same life guard also purposefully drowns people sometimes. Does God really save us from Himself? I can see how people arrive at that conclusion based on some portions of scripture but I don’t see it in the narrative of Jesus’ life which shows us what God is really like. I believe that death is not God’s thing but Satan's, J. Denny Weaver writes elsewhere in his essay, “The ultimate weapon of the forces of evil is death, which is an act that annihilates existence. Destruction of existence - denial of the capacity to exist - is the worst the powers of evil can do to a human being.” If the wages of sin is death as Paul says it is (Romans 6:23) then what Weaver writes makes perfect sense. Weaver continues on to say, “It is this denial of existence that the reign of God overcomes through resurrection” and that, in my opinion, should be foundational to our understanding of the atonement. To bring this post full circle, I do believe that the Bible teaches a horrible fate for unbelievers, weeping, gnashing of teeth and destruction. But this is not the result of the sword in God’s hand but the sword in God’s mouth. What I mean by that is that He does not slay people literally but speaks truth and pronounces the inevitable. Those who refuse Him will be punished with eternal destruction, forever separated from the Lord and from His glorious power (2 Thessalonians 1:9). Jesus does not slay but He does say, “Depart from me you who practice lawlessness” (Matthew 7:23) and outside of Him there is no life. It is hard to execute someone who has departed from you and is no longer in your presence. This is what we were told right from the beginning, if you don’t partake of the tree of life but rather want to do it your way and eat from the tree of the knowledge of good and evil, you will surely die (Genesis 2:17). That is a warning, not a threat and God reacts to the fall not by waging war on Adam and Eve but by waging war on death and that old serpent who had the power of death. But praise be to God, that death has been swallowed up in victory through our Lord Jesus who offers life to all who eat and drink from Him. I would love to hear your thoughts on this post, does it make sense? If not, how do you understand the apparent paradox of God as both destroyer and savior?